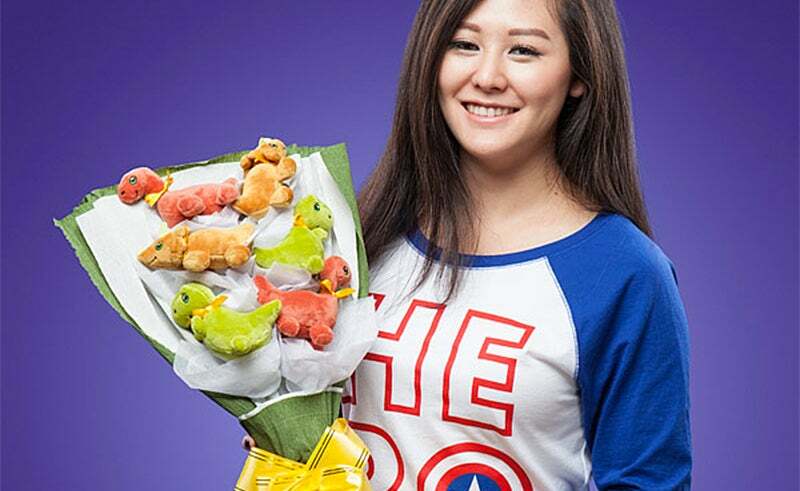 Valentine’s Day is less than a month away, but there’s no reason to get all stressed out about it because ThinkGeek has the perfect way to say “I love you.” Instead of the clichéd chocolates or roses, why not give your significant other a stunning bouquet of tiny plush dinosaurs? Flowers inevitably die, chocolates mysteriously disappear from the box, but dinosaurs? Technically they did go extinct once, but this $50/£35 stuffed menagerie—including two T-rexes, two triceratops, and two apatosauruses—isn’t going to be wiped out by a meteorite or ice age anytime soon. They even come wrapped in crepe paper with a big yellow bow, all you need to add is some kind of Jurassic Park-themed card.